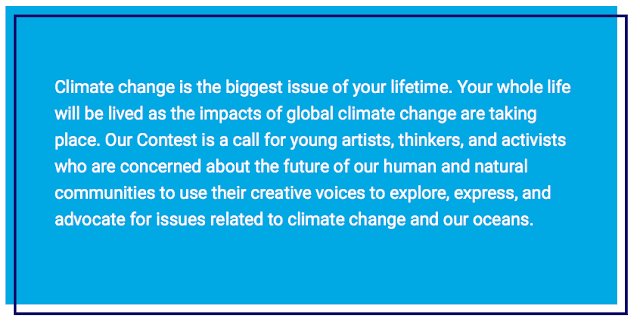 One of my favorite writing contests out there is the "Ocean Awareness Contest." It really takes the voice and impact of young people seriously. Plus, I think you'll like the varied options for submission; your students can explore the year's theme through visual art, poetry, prose, film, or music. Check out the full details for the contest here. Another noteworthy contest is the Rachel Carson Sense of Wonder / Sense of the Wild contest. Students can submit on several environmental topics in poetry or prose, with or without accompanying photography. Learn more about the contest here. My personal favorite nature writer is probably Henry David Thoreau. Walden impacted me a lot when I first read it, and transcendentalism units have always gone over well with my students. While Walden can be a difficult read, selecting an excerpt such as "The Ponds" from The Project Gutenberg online version can help introduce students to Thoreau's experiment to get closer to nature relatively quickly. From there, you could participate in The Walden Woods' "Worldwide Waldens" program. Your students can take a picture of a natural area in your community and submit it along with 300 words about why it's meaningful to them. 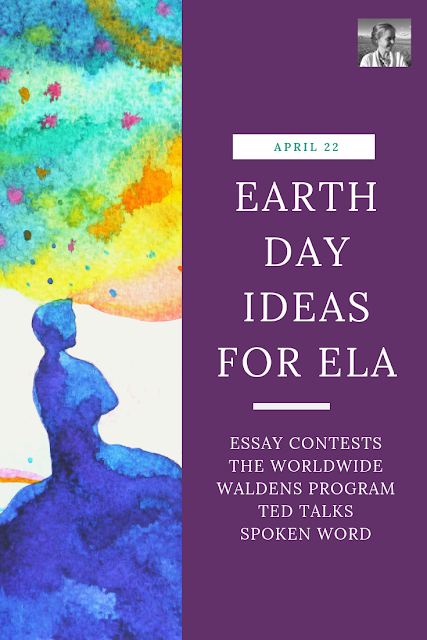 Or you can take it a step further and formulate an environmental project as a group to help your own Walden, using the toolkit provided through the Worldwide Waldens program, then share it with The Walden Woods organization to put up in their project showcase. 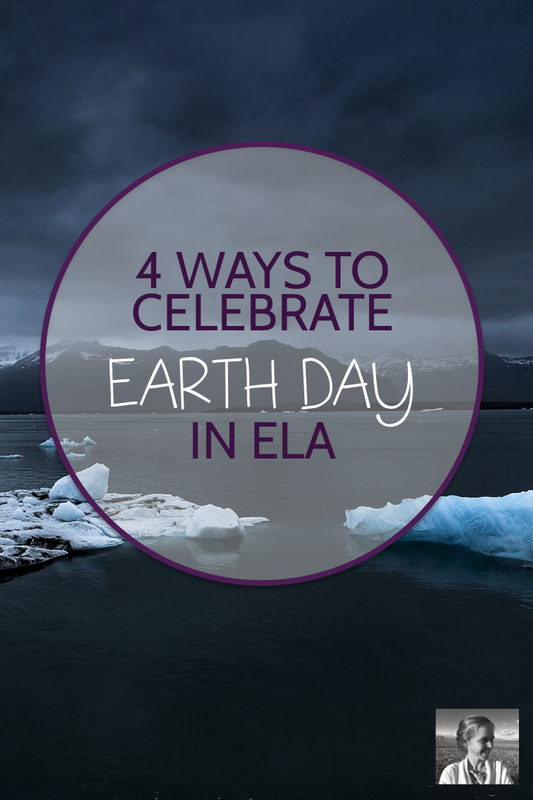 Earth Day could also be a good time to pause and learn from a modern speaker on environmental issues. There certainly are a lot of options over on Ted. 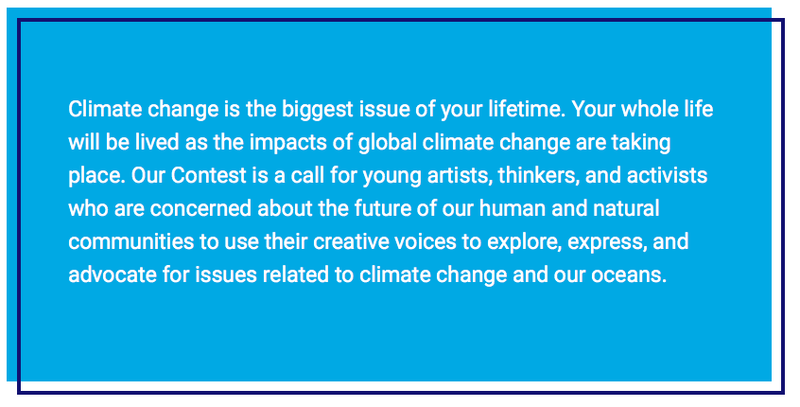 Check out this roundup, "Twelve TED Talks to Watch this Earth Day", or the video below, featuring a fifteen-year-old girl who led a school strike to stop climate change in Sweden. 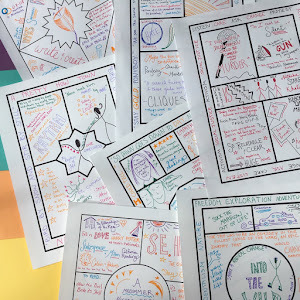 Have students complete sketchnotes or a one-pager as they listen to help keep them focused. Since Earth Day falls in the middle of National Poetry Month, this could be a good chance to bring in some spoken word poetry. Consider showing this beautiful one-minute video "Love, Earth" on the Outside Magazine site, which features a spoken word poem set to a stunning montage of images of our world. This could be a great springboard into a combined poetry/video assignment on an environmental theme. Taking a somewhat more austere (and political) approach to environmentalism, this spoken word by Prince Ea is also an interesting watch. You'd probably want to be up front about the fact that his words are his opinion, and talk about the techniques he uses to make his points striking, so students who disagree with his politics feel safe. This poem could also make an interesting springboard watch for writing spoken word poems about nature and the environment.